Want to draw on the power of God's word? 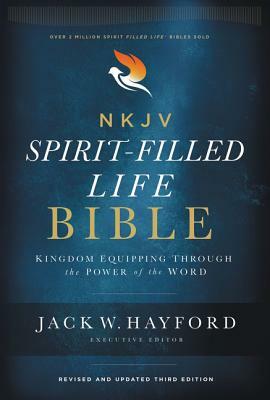 NKJV, Spirit-Filled Life Bible by Jack W. Hayford was published by Thomas Nelson in October 2018 and is our 5268th best seller. The ISBN for NKJV, Spirit-Filled Life Bible is 9780529100146. Be the first to review NKJV, Spirit-Filled Life Bible! Got a question? No problem! Just click here to ask us about NKJV, Spirit-Filled Life Bible.